A redesign of the iOS and Android app focused on reducing navigation complexity, increasing course progress and aligning with brand voice and tone. Coursera's mobile experience has had the unfortunate label of being a "companion" to the primary web learning experience and as a result, few resources have been allocated to driving mobile product innovation. The experience today is overly complex, has significant inconsistencies between iOS and Android, and generally feels poorly considered and quite dated. With the goal of elevating the mobile platform to first class citizen, we kicked off an aggressive quarter of work aimed at revolutionizing the mobile user experience. We started with a comprehensive audit of both the iOS and Android apps, examining areas of friction and highlighting inconsistencies. 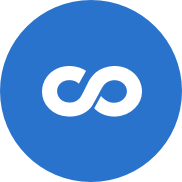 We emerged from the audit process with a refined application architecture that removed several layers of navigation and provided for cross platform consistency. 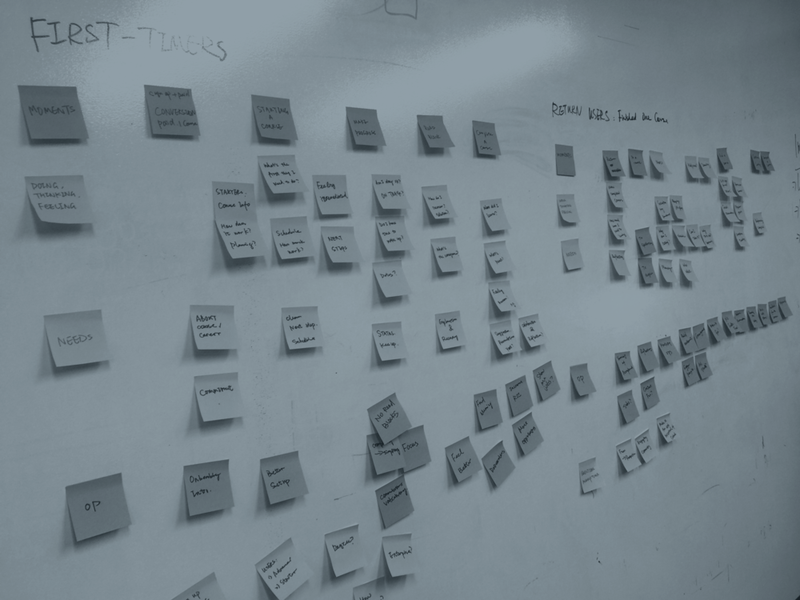 Cross functional brainstorms helped uncover current pain points and reveal opportunities for improving the user experience. Sketching workshops, whiteboarding sessions and wireframe explorations helped refine our concepts. Moving into user testing, we built two high fidelity prototypes in Principle and tested the designs on device. 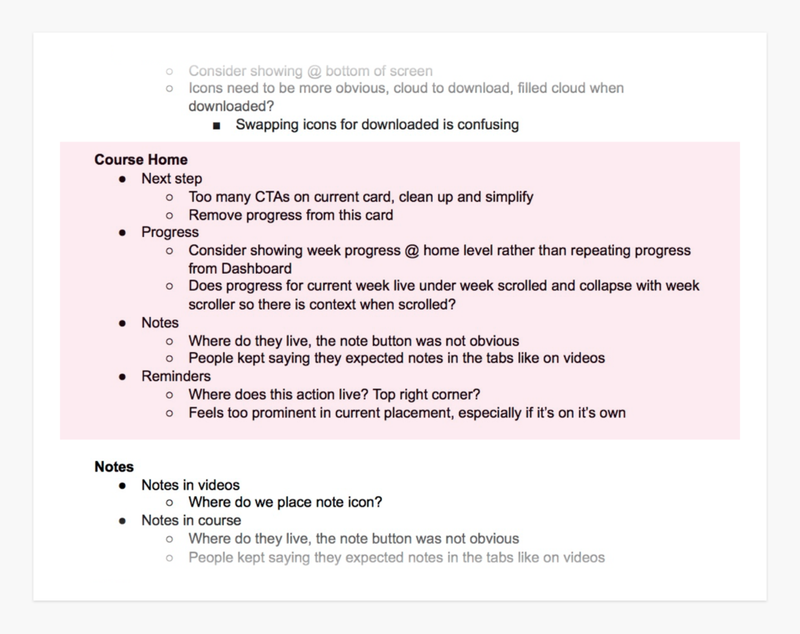 The new designs illustrated significant changes to course navigation, progress and you are here indicators, next step suggestions and several smaller interaction changes like our "week switcher" concept that we were interested in validating with users. Emerging from research, we synthesized the findings and bulleted out key takeaways that served as guiding principles as we continued to iterate on and refine primary screens and interactions. 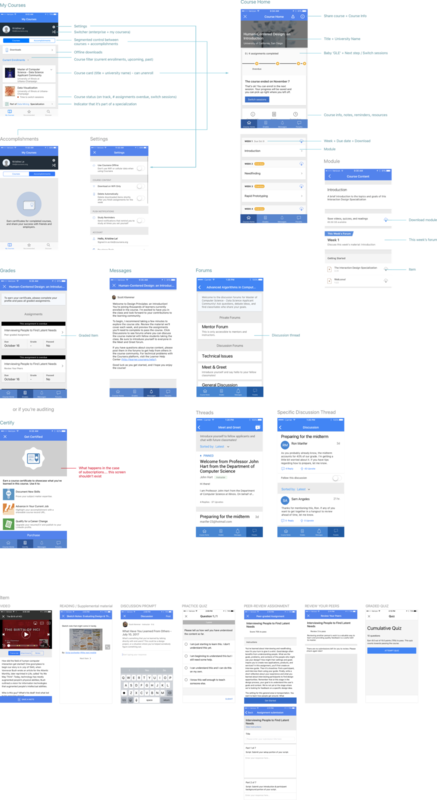 As we prepared for our final handoff with engineering, we refined our motion interactions and delivered spec documents detailing out states and interactions across all our primary screens.